I will create a beautifully designed Flight Search website to generate Passive income. Generate affiliate commissions any time someone books a flight, hotel or car rental through your search. Easy and completely passive income. Huge potential. 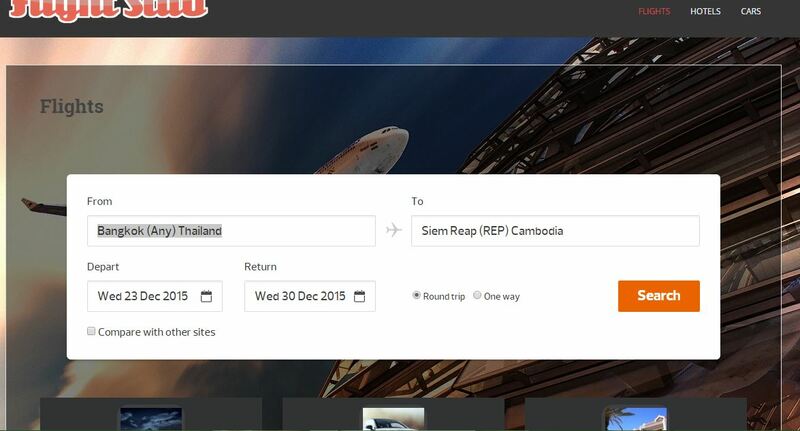 This is a simple travel search website, users can book a flight, hotel or rent a car. Earn commissions and create a completely passive income online. This flight search website features a beautiful and simplistic design to make it easy for users to search and find exactly what they are looking for. Income is created on this site through the flight search program which pays you a percentage of every sale. Also included on the web site is a travel related clickbank affiliate offer to maximize earning potential. This website will be completely set up and requires little to no maintenance. All that is needed is for you to create traffic and then watch the money start rolling in.